← U.S. Groceries CAN NOT Guarantee Absence of Horse Flesh on their Shelves. 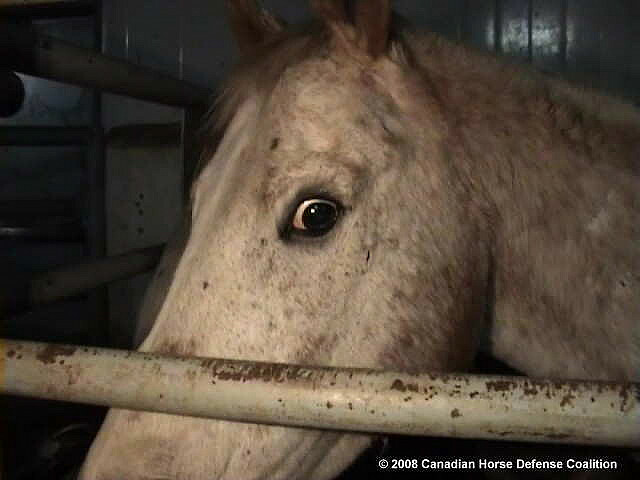 Scared Horses Need Your Help NOW ! ~ Call Oklahoma Governor to Stop Horse Slaughter in Oklahoma. PLEASE TAKE ONE MINUTE AND CALL THE GOVERNOR OF OKLAHOMA AND SIMPLY STATE THAT YOU ARE OPPOSED TO HORSE SLAUGHTER!!! Oklahoma Governor Mary Fallin‘s Office is taking count of calls received pro or con on the horse slaughter issue 405-521-2342. They are not asking where you live, only pro or con, 405-521-2342. Posted on February 25, 2013, in Animal Rights and tagged Governor of Oklahoma, Horse Meat, Horse Slaughter, Mary Fallin, Oklahoma Governor, Oklahoma Horse Slaughter. Bookmark the permalink. 3 Comments. They are not taking a talley. They actually cannot get any work done because people keep calling. Oklahoma citizens are unable to get any help due to the ridiculous number of calls. STOP CALLING JUST SEND A DAMN PETITION. THE BILLS YOUR TALKING ABOUT HAVENT EVEN GONE TO HER TO SIGN OR NOT. We will NOT stop calling. IF horse slaughter is allowed in Oklahoma, it will cost all taxpayers in the US. The cost for USDA inspectors, just for horse meat will be a minimum of 5 million a year. That amount will have to be cut from the USDA budget that pays the to inspect the foods we do eat. Everyone has a right to call the Oklahoma Governor. I am an Oklahoma citizen. I count on the Governor to listen. Many of the politicians have refused to. If they would have then calling the Governor wouldn’t be necessary. I’m sorry if you are finding it difficult to get help from the Governor, try your state rep and senator, maybe you’ll have better luck, not likely though.